ADHD Results – Better Behavior, Better Grades! My grandson, Hunter Quinn, turned 9 years old in May, 2009. He’s always been a bright,inquisitive, young man with many friends, and the joy of my life! His dad, my son David, wasdiagnosed at a young age with attention deficit disorder, and like many other parents did in the80’s, I put him on medication to control the symptoms. As Hunter grew up, it was pretty obvious he was like his dad in many ways. When Hunter was in2nd grade, the school asked if they could do some testing. None of us were surprised when theytold us Hunter had attention deficit hyperactivity disorder. At that point, I had been taking “LiquidOrganic Product” for about a year with positive results. We decided that we would try that with Hunter instead of drugs. So toward the end of secondgrade, he started taking 3 to 4 ounces of “Liquid Organic Product” daily. We all saw improvedbehavior within a couple of weeks. During summer vacation, his mom’s parents took him to the zoo. They knew he had beendiagnosed with ADHD and, when they got home, asked my daughter-in-law if he was on medication. They thought his behavior was so much calmer and he listened to them more readily. A few weeksafter Hunter returned to school last September, the teacher asked if he had been put on medicationover the summer. Again, his mom said no and explained he was taking a whole food nutritionalsupplement daily. Hunter’s mom, Angie says “Hunter has calmed down substantially. Before “Liquid OrganicProduct”, if he had to sit still at a doctor’s office, in school, for dinner at home, etc., it was extremelydifficult for him. He just couldn’t do it. Now that’s not a problem. He is much morecooperative when doing his homework, and better organized in getting things finished. He has aneasier time following directions, and we notice a big difference in how he is inter-acting andplaying with his sister and brother”. Math had been a problem in the second grade. At the end of 3rd grade his teacher, Mrs. Breneman, wrote on his report card (and I quote) “Hunter has done great in Math this year. He has really mastered concepts that were difficult for him last year. Hooray for progress!”School has been the most amazing turn-around. According to his teacher, his writing is neater and much more legible; he is doing better on testsand is now capable of paying attention when the teacher is speaking. That is major for him! Hehas been taking 3 to 4 ounces of “Liquid Organic Product” daily for a little more than a year. Weare so happy at how he is doing, and we all say “Hooray for “Liquid Organic Product””. When he comes to visit me, he’ll go into the refrigerator to pour himself some “Liquid OrganicProduct”, and I’ll say “Hunter you’ve already taken it today”. He says, “Yes, Grama, but thisstuff is good, it makes me smart”. Then I tell him, “it’s not making you smart, Hunter, you aresmart. It’s just bringing out what is inside you”. I thank Heaven that my sister, Penny Wanger, introduced me to this product in October, 2007. Myhusband and I, our married children and our grandchildren are a ““Liquid Organic Product”” family. I cannot praise “Liquid Organic Product”, and many of the other “Company X” products enough;they have changed our lives for the better and had a huge impact on the quality of our familylife! My mother is 97 years old. The first time I gave “Liquid Organic Product” for her to taste shesaid “I was wondering when you were going to make me taste that stuff”! When she saw how it helped me overcome my constipation, allergy, sinus and lung congestionproblem, she bought a bottle. She is on her second bottle now, she drinks it every morning. Sheadmits, she feels more energy, less eye problems, sleeps better, and has less acid refluxproblems!!! I also can see her improvements, she walks faster, sleeps better, feels more restedduring the day, she is less fragile plus she is more mentally and psychically active. Thank you “Company X” for ““Liquid Organic Product”” and my mothers improved quality of life, sheis looking forward to her 100th birthday now!!!!!!!!! My name is Andrew Goforth and I live in Boulder Colorado . When I was 18, I was diagnosed with Chronic Fatigue and Anemia (low iron/ferritin levels inBlood). Both of these diagnoses together have packed a heavy punch over the years concerning mylevel of endurance and stamina. If I went for a long hike or exuded too much energy in one givenday, then next two to three days would be spent resting or on the doorstep of contracting whateverwas the latest bug out there. I began seeing a Naturopathic doctor for some solutions three yearsago. We had new blood tests run on my ferratin levels in 2008. The normal range of iron in thehuman body ranges from 30-300. My level since 1999 has not been above 9. I have been on all sortsof different iron supplements and have tried many different solutions. Even my Naturopathic doctorwas stumped and didn’t quite know what to do for me. After six months of drinking “Liquid Organic Product” I realized that I was feeling much moreenergized than I had in several years. I decided it was time to get my blood retested. I got myresults by email from my doctor and when I read that my ferratin level was at 63, I cried withjoy! Not only had I moved within a normal range but my level bumped up 54 notches!!! Needless tosay I have been so inspired by my involvement with “Company X” since these results! In the early stages I experienced energy increase, sugar cravings decrease, caffeine intakedecrease, mental clarity increase, and all are still present six months in. We noticed a month ago that our five-year-old labrador retriever, Zooey, had developed very dryand unattractive skin/fur, discoloration in her fur, and problems with her back legs (she couldn’teven jump up on the beds or couches without help). We started making a concoction for her of tunafish with “Liquid Organic Product”, “Liquid Calcium/Mineral Product”, “Joint Product”, and “GreensProduct” mixed together every morning with her regular food. After only a week or two she wasjumping up on the beds again and jumping up to say hello when we come home. Now a monthlater her fur looks beautiful, no discoloration and it’s soft and dandruff-free! Hi, my name is Major. I am a 12 year old German Shepherd. When I was 5 years old, I startedhaving problems with my two back knees. My owners, Steve and Mary Ann Trgovec of Sheboygan Falls took me to Madison, Wisconsinto the Veterinary Hospital to try to get me help. I could barely sit on my hind legs. I could not runor climb steps. I was also starting to lose my hair. The doctor’s gave me 2 artificial knee’s andsaid I have bad arthritis and hip problems. They also said i would need more operations. and “arthritis formula” everyday. People can’t believe how good I get around now. The 2 local vet’sI go to said these products have really helped me with my health challenges. It didn’t happenedovernight but, as time went on things got better and better. Well I have to go now. I may not be as fast as I used to me, but I’m still having fun chasingrabbits and deer on my land. I am a certified Advanced Rolfing practitioner and a certified canine massage therapist as well. I myself have 4 dogs and my 14 year old has torn both of her ACLs (in a quadrupeds it’s actuallycalled the CCL). The second time it happened in the second hind leg, she was 13 and I did notwant to put her through the repair surgery. She was not weight bearing, climbing stairs orplaying. I assumed the lack of playing was simply age related. I began putting “Flexible JointProduct” on her food each day and within a month, she began to weight bear. Soon after, she beganto climb stairs (now she is back in my office with me while I Rolf). Amazingly enough, she isplaying again with my other dogs. She weighs 23 pounds and I put 3 droppers full on her food. I have other canine clients with hip dysplasia, knee issues, arthritis and more. I have them allon “Flexible Joint Product” and they are all feeling/experiencing good results. My Vet isinterested in trying the “Flexible Joint Product” since many of her canine and feline clientseither don’t like taking the pills they suggest or don’t absorb them! I have yet to try the “Liquid Organic Product” with my gang of dogs…this is next! We started Jamocha, our eight-year-old labrador retriever (and Zooey’s mom), on the sameconcoction as Zooey at the same time because we noticed that she had less vitality and was stiff(reminded me of Frankenstein) when she woke up from her naps. A month after taking a blend of the”Liquid Organic Product”, “Liquid Calcium/Mineral Product”, “Joint Product”, and “Greens Product”she is no longer stiff. We are also seeing improvements in her vitality. I had an Australian Silky Terrier for 15 years. I put him on “Liquid Organic Product” 6 years agowhen he developed dry, itchy, scaly skin on his spine. He rubbed his skin so much he had no furleft. I gave him 2 Tbsp / day in his food and he fully recovered in a month. The only times hewent to the vet was to have grass seeds removed from his ears. As he grew older I also added TrueGreens to his food as well. He was never vaccinated since the initial puppy treatments. HisDphysical agility was phenomenal right up until he died… escaping onto the road once too often! My niece has Beagles & they wouldn’t drink water until she put ‘Liquid Organic Product” into theirwater bowls. Sending you a testimonial and picture for Dave our cat. See you in Estes. This is Dave. Two years ago in 2008 Dave was really stressed due to the loss of his friendGateway. Dave was losing the hair on his tail. We offered him an extra bowl of water and added 1oz of the “Liquid Organic Product”. He began drinking it and now 2 years later he will not drinkout of that bowl without “Liquid Organic Product” in it. His fur is very soft, he does not seemto eat as much food and his weight is great! My name is Sarrha Uffelmann and I have a story about my thoroughbred mare, Angelina, that Iwould like to share with you. In the winter of 2007, Angelina began to show respiratory and neurological symptoms that wereeffecting her day to day life. Tripping, sweating, breathing abnormally loud and a high anxietylevel were her most noticeable symptoms. I tried several different treatments over the next 8 months, using many supplements and trainingtechniques but nothing seemed to change. Finally, in October of 2008, I decided I would have toput her out to pasture and then fed her a simple diet of hay, beet pulp, L-lysine. I also added 1ounce of “Liquid Organic Product” each day. My children and I have been drinking “Liquid Organic Product” for 2 years now and have had agreat response from it. I decided to try it on Angelina to see if it would improve her health. Within one month of being fed “Liquid Organic Product”, Angelina’s appetite increased and sheseemed less anxious, she was able to lose the extra weight, had a much decreased anxiety level,and an increased energy level. After 7 months on “Liquid Organic Product” Angelina is no longer tripping but moves steadily andgracefully during each session. Angelina’s respiratory system is improving by leaps and bounds;she breathes normally, has energy and stamina with a recovery time for 2 minutes. Angelina has become a joy to ride and to own. I am very thankful to Mary Meaker for introducing meto “Liquid Organic Product” and to “Company X” for making a product that both people and horsescan benefit from. They have given us an affordable way to give our equine friends the traceminerals and phytonutrients that they need to be optimally healthy. GOOD HEALTH IS NOT EXPENSIVE…IT’S PRICELESS!!! *Arthritis, Sticky Blood Cells, Constipation, Blood Pressure, RESOLVED!! In 1996 I had a blood test done (this test was done on a dark view microscope that was designedespecially for viewing blood). The blood test showed that my cells were all together touching oneanother in a clump, this is an unhealthy condition, I was told that I needed to get betternutrition into my body. Thanks to “Liquid Organic Product” from “Company X”, my health issues are no longer a problem forme. I have been helped with a constipation problem that I had to deal with most of my life, thearthritis pain in my back and my knees is no longer a problem for me, and the sciatic nerve painin my leg is improved, my total cholesterol screening numbers have dropped 42 points, my bloodpressure has stabilized (at one point is was 180 over 90! ), my episodes of fast heart palpitationsdon’t happen anymore, the artery that was blocked on the right side of my neck is now openedwithout surgery or medication, the planter’s wart on the bottom of my foot is no longer there andmy energy is great. As a child I was always sick with the flu, colds and that continued on thrumy whole life until now. I know that by getting good nutrition into my body my cells are allhealthy again. I am 69 yrs old in (2009) and I feel better than when I was in my thirties. I love sharing these wonderful products because the reward of helping someone with health issuesis one of the most worthwhile things a person can do. Plus the extra income is wonderful!!! *Auto Immune Deficiency, Chronic Fatigue Syndrome, Fibromyalgia, Raynaud’s, Irritable BowelSyndrome Bronchitis, Sinusitis, Headaches, Ear aches, Sore throats, Asthma, Swollen ParotidGlands/Lymph Nodes, Barking cough. “Liquid Organic Product” HAS SAVED MY LIFE! Here’s my story in short. Before I started taking Body Balance I was on multiple prescriptionmedications for life. I have CFIDS (Chronic Fatigue Syndrome w/Auto Immune Deficiency) , FMS(Fibromyalgia), Raynauds (sensitive to changes in Temperature), IBS (Irritable Bowel Syndrome) anda whole list of other health issues. In 1997 I was in a car accident and needed a kneereplacement. I was 35 years young at the time, (I just turned 48 years in Dec 2009). After severalknee surgeries I finally got a Total Knee Replacement and thought that was the end of my pain andsuffering. I was wrong, that’s when all my problems started. Life changing health issues forLIFE. I was on many drugs for pain, muscle ache, back spasms, intestinal issues, GERD (acidreflux), sleep issues including napping daily and insomnia at night. . . total exhaustion withextreme fatigue and poor stamina. I suffered from Chronic : Bronchitis, Sinusitis, Headaches, Ear aches, Sore throats, Asthma,Swollen Parotid Glands/Lymph Nodes, Barking cough. Infections that wouldn’t go away despite theantibiotic regiment, which would include 4 different antibiotics in a row. I also had a fever ofUnknown Origin for 3 plus years that baffled all my specialists. I had been to the best Doctor’s in Boston ~ Infectious Disease Doctor’s, Rheumatology &Autoimmune Disorder Doctor’s, ENT (Ear, Nose & Throat) Specialist’s, Gastroenterologists. Besidesmy PCP and Orthopedic Surgeon. I tried the Chiropractic method as well, which helped me. My paingot so intense I was on Morphine Patches and was offered Oxycontin to keep the edge off the pain. This would be for LIFE ! The health problems I incurred along the way were not going away and onlymanifesting. So in all actuality this would be for LIFE ! Daily medications for all my symptomsfor LIFE ! That is no way to live your LIFE ! After being on Morphine Patches for a few months I realized that. . . Something has tochange! I knew I had to wean myself off the pain medications and just suffer my life away as thiswas killing me. I decided to STOP going to Regular/Specialists Doctors as they were only givingme the same answers “we can give you medication to help with the symptoms”. My Family and Friendswere worried sick and I thought I was going to die. Through the pain and anguish I had a dear friend tell me about Homeopathy/Holistic way ofLIFE which a few of my friends practiced with their families for many years. I just didn’t have anopen mind about it and was trying my way first. She explained to me “when your given a Remedy ittakes each symptom AWAY for LIFE”. My mind was open to anything at this point. I tried theHolistic Way and was grateful for the information given to me. Then my friend told me about BodyBalance and how she thought it would help me with my symptoms. She changed my LIFE! I have beenon “Liquid Organic Product” for four months and it has changed my LIFE !I’m gradually getting my life back, day by day. Many of my symptoms have subsided and Istopped napping. I weaned myself of most of my medications and I’m so excited about this”LiquidOrganic Product”. . . it is Liquid Gold. I stopped taking two medications (Prilosec forGerd/Dicyclomine for Intestinal Spasms) completely. That saves me $50.00 dollars a month for copays which I put towards my “Liquid Organic Product”. *Chemical Toxicity Causing Depression, Anxiety, Allergies, Asthma, and Hormonal ImbalancesAbout Chantal: Chantal grew up in the salon industry. Her mom was a cosmetologist. Chantal has had a passion for the industry ever since she can remember. She went to Rudy & KelleySchool of Hair Design in Virginia Beach , Virginia and graduated with the highest GPA and highestsales in a 5 year period. She worked as a Shampoo Apprentice in their chain of salons while shewas in school. She moved back to Iowa in 1992 where she worked for a year at Cost Cutters. A year later shemarried her husband and moved to Fredericksburg , Iowa . She worked at two salons in NewHampton before opening her own salon in Fredericksburg in 1997. In 2008 her family moved toNew Hampton, Iowa where she now owns a salon and her spa room. Chantal has been trainedas a Master Colorist by Schwartzkof and ISO. She also worked as an Account Executive for State Beauty Supply where she called on 311 salons inIowa; training them in the art of retail and updating them on the latest trends in cuts, colors,and perms. Chantal survived health problems that were caused by the chemicals in the salonproducts she had been exposed to for years and now wants to help others in the cosmetology fieldso they do not have to live through what she and her family did. Below is her story. In 1994, right after our son was born, my health started to fail. I was diagnosed withFibromyalgia and put on medication in 1994. After a year I still did not feel well. I was thendiagnosed with Chronic Fatigue Syndrome and put on medication for that. Another year went by and Iwas getting sick all the time. I was in and out of hospitals. I as sent down to a specialist inIowa City where I was diagnosed with Common Variable Immune Disorder, meaning my immunesystem was very weak and I could not make antibodies to fight infection, even when given a vaccine. I was then put on a full years course of antibiotics. A while later my joints started to flare up and I was in a lot of pain. I had positiveblood tests for Rheumatoid Arthritis and was put on more medication to control the RA. When I didnot improve I had another battery of tests done and I was found to have Lupus. I was told myquality of life would be poor and that I may end up in a wheel chair or a rest home by the time Ireached my mid 30’s. I was put on more medication to control these diseases. In the mean time I was diagnosed with depression, anxiety, allergies, asthma, andhormonal imbalances. I was put on more medication. I was on 25 different medications at the sametime! My quality of life was so poor that I thought to curl up and die: like the doctors told me Ishuld do with all that was wrong with me. I was only 24 years old, a new wife, and a first timemom. I remember not being able to pick up our son from his crib because my arms would not work orthey were too weak to hold him. Nothing can break a moms heart like that! Despite the bad health I still managed to own and work in a salon. Several times Iworked while I had an IV pic line in my arm due to infections. Every 12 hours I had to get a bagof antibiotic put in. The doctors started doing this for me because I was in the hospital so much. This saved me money and I could still work and be at home. Then in 2003 something was really wrong with me. I had hand tremors so bad that I couldnot pick up small objects or eat very well. I started to have fits where my whole body wouldshake and tremor uncontrollably . I went from 99 pounds up to 140 almost over night. I did notfeel well, I lost most of my strength, my hair thinned out, I could not think straight, I wantedto sleep all the time, the whites of my eyes were creamy yellow, and my body broke out in severeacne type lesions. My husband had to carry me from the bedroom to the living room to the bathroomand back again because I could barely walk anymore. I went to the doctor and was diagnosed withchemical toxicity and chemical allergies which had symptoms that mimicked Parkinson’s Disease iethe tremors and shaking. My liver and kidneys were very stressed. I had 33 years of chemical exposure built upin my body from salon chemicals like ammonia, thioglycolates, SLS, fumes from hairsprays, etc. This surprised me because I always wore gloves when doing perms and colors and had a wellventilated area to work in! At this point I had to close my salon and lose my income because I wastoo sick to work. I could not do chealation by IV since my body was so stressed. We used a machine thatput sound waves into my body to break up the chemicals like a high pitch noise would shatterglass. I went from weighing 140 down to 104 with in months. I was put on an all natural liquidsupplement called Body Balance that helped to remove those broken chemical compounds andhelped them to leave my body while it replaced all the lost vitamins, minerals, glyconutrients,amino acids, etc that the toxicity had depleted. After three days of taking “Liquid Organic Product” my strength started to return. I could standon my own and walk a few steps. I had more energy by the end of the first week and I could thinkstraight. I added ‘Calcium/Mineral Supplement” and the pain in my muscles and joints went away aswell as the severe menstrual cramps and some of the tremors. I felt better than I ever had before! I could stay awake all day by the fourth month. That is when I started physical therapy toregain the strength to walk and use my arms. It only took me three months of physical therapy todo so! The physical therapists were very surprised. I told them I was taking ‘Liquid OrganicProduct” and that I thought it was helping to give my strength back as well as believing in thepower of prayer and Jesus. I actually tried to stop taking the supplements about a year later because I was feeling so good,but within a few weeks, I started to feel like I did when I was sick, so I started taking themagain. That taught me that no matter how my symptoms went away, it is up to me to put the correctnourishment into my body to retain the health benefits I have gotten. If you put the wrong fuelin a car it won’t run long, the same is true with our bodies! Since then, I have had several blood tests ran and there are no signs of toxicity. The pain fromthe Fibromyalgia is gone as well as the fatigue from CFS. My immune system is not underactiveanymore, but rather, it is overactive. That too should balance itself out as it continues to heal. I do not have depression or anxiety and have been off all medications since 2002! The hormonetests were all in range. I do not have Lupus, Parkinson’s, or anything that I had been previouslydiagnosed with. Just the lingering memories of what I went through and I often wonder what ourfamily would be like if I did not miscarry our daughter. I recently found out that cosmetologistshave the highest rate of miscarriage of any industry because of the chemicals we are exposed to. Ifelt cheated out of our little girl. If only someone would have known and told me back then, wemay have our daughter with us today. She would have been a happy and beautiful 12 year old justentering the 7th grade. This is the hardest part of what I went through. As I write this 12 years later, it still brings tears to my eyes. I’m not sure that pain will ever go away. The loss of a child, born or unborn, is hard on a mother. We are blessed to have our son, whom wealmost lost at 5 months into the pregnancy too. I also just learned cosmetologists have the highestrate of bladder and ovarian cancers. I just had my yearly check up at Mayo in Rochester . They took23 vials of blood, did a brain MRI, as well as checking each body system independently and they gaveme another clean bill of health! No lingering toxins or damage from the toxins was found at thisappointment! Am I in the clear for the rest of my life? We do not know. Time will tell if any long term damagewas done to the cells in my body and what the after effects will be. So far no cancer and that isa great thing! I am almost 6 years in the clear now. However, if I get around chemicals for too long, I can tell. My husband calls me a “Barometer forChemicals”. My fingers will get a tremor in them and my body will become weak. I watch what I eatand watch what I put onto my skin. I use all natural cleaning products and laundry detergents. Alot has changed in my life since then. My quality of life has improved so much thanks to Jesus and”Liquid Organic Product”! I am able to live a healthy, prescription free, meaningful life again! I am back in the cosmetology industry. That may surprise some. I reopened my salon in 2007after being closed for almost 4 years. I own an organic salon now. No damaging chemicals! I dohaircuts, natural ammonia free color, waxing, Body Wraps, Ion Spa Foot Detox Baths, facials,reflexology, and sell a wide variety of organic and all natural products for the family andhousehold use. I also own a spa room where I help others detox and regain their health. You maynotice I do not do perms. It is because I cannot find a safe one to use. There are companies working onafer alternatives to the traditional perm chemicals and I hope to introduce perms into my salon atsome point in time. I have a passion for helping others in the cosmetology industry who are dealing with vaguesymptoms such as weight gain, headaches, fatigue, tremors in the hands, aches, and pains. I knowhow frustrating it is when the doctor does not know why you feel so bad or they tell you it is inyour head. No, it is not! I feel I was given a second chance at life to help others. *Children and a Strong Immune System with “Liquid Organic Product”My daughter, Caitlin (age 4) has been drinking “Liquid Organic Product” since she was born(and in vitro through me). I’ve relied heavily on the this juice through the heavy virus seasons forher immune system. In her first 3 years, I noticed that while she would catch the usual colds goingaround, her recovery was significantly faster than her peers and her symptoms never once carriedonto secondary symptoms such as ear infections. In her fourth year, she has been exposed to a more serious cold and flu season than previousyears, yet it has been Caitlin’s best year so far. Even the gastro viruses going around have neveraffected her in her life. Her immune system has developed naturally very well. I have chosen not to vaccinate Caitlin since her 8wk old shots and she has been exposed to thehighly contagious chicken pox but not contracted it. Caitlin has always been a very strong-willed person, but I never saw a “tantrum” until she wasabout 3 (and very tired! ), upon which moment I gave her a shot of “Liquid Organic Product” and shewas placid by the time she put the cup down. I’ve used this trick on countless occasions in the“witching hour” before dinner when she was younger and it has centered her without failSince Caitlin could say “Liquid Organic Product” (or point to the fridge) she has been asking forit intuitively as needed at various times of the day – particularly in the mid-afternoon. Lately,I’ve noticed a change in her sleeping pattern since giving her a nip before bed. She sleeps morerestfully on these occasions, after a history of frequent sleep talking and nightmares. Caitlin’s comprehension, language and physical development have always been stronger and moreadvanced than her peers. She is currently about a year ahead and has been able to carry aconversation with adults since the age of 2½. I have always treated her with the same respect as Iwould any adult and I believe this combined with her intake of such a great spectrum of nutrientsbetween “Liquid Organic Product”, ‘Calcium/Mineral product” & extra “Greens Product” every day hasproduced the remarkable individual she is today. Most of you know my husband Joe or at least have heard of him! He, like many people in ourcountry and in the world suffers from high cholesterol – some of this is genetic in tendency andbeyond his control without the use of strict diet, cholesterol lowering medication and regularexercise. Joe is great at the exercise part, pretty good at the diet part and has not decided to take thecholesterol lowering medication. What he HAS done for the last 8 months is drink “Liquid Organic Product” each day. His blood workrecently came back and the LDL (bad cholesterol) had dropped from 146 to 91 points since his lasttest 1 year ago! He has done NOTHING different except take “Liquid Organic Product”. Hisexercise has been less than consistent and his diet – he struggles with self control. I have been taking “Liquid Organic Product” for 10 Years every daytwice a day to help me with my constipation -digestion challenge. When I take it regularly every day my body functions a lot better in comparison to not taking it. I have tried it both ways and I would not want to be without “Liquid Organic Product”. My husband Nick had a massive stroke on January 17, 2009. When we went in for a check-up OnFebruary 5th, the doctor tested his C-Reactive Protein (CRP). If your CRP is elevated, it willdamage your heart. Anything over 10 is dangerous and between 1 and 3 is ideal. At thatappointment, they tested his CRP and it was 41.55. The doctor wanted to put him on some medicationand I told him I wanted to try something else. I told him about “Energy/Longevity/Youth Product”and its ability to reduce CRP. He told me I could try it for 30 days, but no longer. Nick began drinking one “Energy/Longevity/Youth Product” per day. Also, Nick increased his “LiquidOrganic Product” intake to between 10-20 ounces per day. When we returned to the doctor on March4th, his CRP had significantly dropped to 27.35. The doctor was impressed. Nick continued to take“Energy/Longevity/Youth Product” and on the last doctor visit on May 20th, his CRP was down to5.3. In 10 ½ weeks, Nick dropped his CRP a total of 36.25 points which is now at an acceptablelevel and with no drugs required. His physical therapists even commented that they have never seenanyone Nick’s age recover from a stroke as quickly as he did. Incredible! 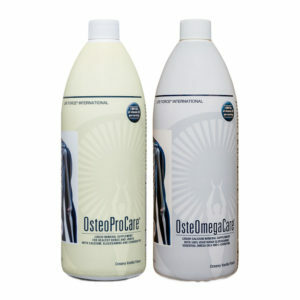 *Chronic Pain Relieved with Liquid Supplements! My health problems started with pain in my shoulders that soon spread down over my arms to thepoint that I couldn’t even lift my arms over my head . I couldn’t wear a T-shirt or pullover, andsometimes to wash my hair in the shower I would have to hold one arm up with the other hand andwash one-handed. These problems were soon followed by stress fractures in my foot, which requiredme to wear a therapeutic boot rather than sandals or tennis shoes. After being on my feet for any length of time, a pain would develop in my knee. The seriousnature of this problem kept me from being able to enjoy walking with my husband in the evening. Ialso experienced pain and numbness due to carpal tunnel and had to wear a brace on my right knee. All of this pain prevented me from sleeping through the night, and I had to completely change mysleeping habits. The only way I could sleep was on my back with pillows under my knees or in arecliner. I went to several different doctors, Being referred from one to another, and had manytests performed. It was only after taking OsteoProCare and Body balance that this condition improved. Last year I loved living a driven, high-profile life, traveling the world, and coordinating events for thousands. However, towards the end of the year I began to feel generally ill, fatigued, and stressed. For three months before I started “Liquid Organic Product” in March, I was had to sleep 13-18 hours a day — all throughout the day and night– and felt constantly fatigued and drained, my mental clarity was low, my skin was severely broken out, my digestive system was not functioning properly, my blood sugar was constantly low and cravings high, my hormones were obviously askew, and I had headaches and body aches daily. However, the difficult part for me was the unexplainable, non-stop mental stress and pressure that so invaded my life to the point where I couldn’t be in a crowd or interact at church or with family, and even close friends. I am now at about 28oz of “Liquid Organic Product” daily and have a life again! Not only do I frequently have rest from mental stress, I can also get up in the morning, cook, work, run errands, smile, skip napping, I lost 15 pounds, my headaches are mostly gone, my skin is clearing, and best of all, I can say “yes” again. Praise the Lord for not just “Liquid Organic Product”, but amazing, loving people like the Chris & Darlene DeLano and Laura Santos! When I started on nutrition, I was disabled with fibromyalgia and chronic fatigue. I used to get up at 10am, nap for 3 hours in the afternoon, and go to bed at 9-9:30 for a total of 8 waking hours/day of which only 1 hour/day had productivity where I could get out of my chair to do something. If I did something for an all day activity, I would crash and have to recuperate. The average energy for the week was 7 hours. I did the best I could, but I EXISTED!! Since being on nutrition, I have increased waking hours by 8 hours/day with productive hours being increased by 15 hours/day. I am LIVING!! In a year: 2,920 hours = 121.6 (24-hr) days = 4.053 months = .333 yrs ADDED!! In the last 4 years and 4 months since being on “Company X” products: 12,643.6 (24-hr) days = 527.82 days = 17.32 months = 1.443 years = 1 year, 5 months and 17 days of being awake that I wouldn’t have without nutrition!! In a year: 5,475 hours = 228 days, 5 hours = 7 months, 18 days, 5 hours = .625 years ADDED in productive time!! 23,706.75 hours = 988.78 days = 32.9 months = 2.71 years ADDED productive time. That is a total of 2 years, 8 months, 28 days and 18 hours added to my life enabling me to homeschool, be active in my neighborhood, do a business, fix-up my house, help my husband with college, LIVE!! 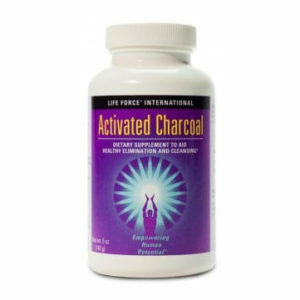 1) An increased energy burst in the morning after taking it. 2) A laser sharp ability to focus on my work. 4) An increase and improved memory, suddenly I was thinking of people I hadn’t talked to in years, people from college or childhood just popping into my head. I was remembering specific conversations and days in vivid color like they were only yesterday. 5) More gradual improvement came over time, lowered blood pressure, cholesterol and lowered blood sugar. These are the things that I have experienced with prolonged use. Your results may vary but this is what it has done for me. I started having vertigo in my early twenties. Over the years my immune system seemed to be compromised. I would catch everything my kids had and it always took me longer to recover. I started experiencing weakness in my legs from time to time and it was especially noticeable after being ill. I also had some bad episodes with my legs after being in the sun or in a whirlpool. In 2001 after many months of being run down, I became seriously ill. My vision was affected, I was terribly weak, chronic pain in my body especially my legs. The weakness became worse until I was unable to function, barely walk and the fatigue was totally taking over. After 2 years of tests, and 3 neurologists, I was diagnosed with Multiple Sclerosis. I have improved my leg strength over time with water exercise and using weights. But still could not walk very far without painful consequences. I would sleep 10 to 12 hours at night and nap everyday, sometimes up to 5 hours. If I didn’t get enough rest I paid for it. I had so much trouble with my memory for a while that I was getting lost on the 12 mile drive home from doing errands. I went through a battery of tests to make sure I did not have Alzheimer’s. It was very scary! My daughter would call me in the morning and I would say something like “I’m still on my first cup of coffee, I’ll call you back after I’ve had my second cup!” It took me a couple of hours to be alert enough to even have a sensible conversation. I also had acid reflux. My blood sugar was rising as was my blood pressure. I was on sinus allergy medication year round and used a lot of ibuprofen for joint and arthritis pain. I was introduced to “Liquid Organic Product” in April of 2009. I started using “Liquid Calcium Product” about a month after that, then added “Joint Product”. I now sleep 9 or 10 hours a night and I wake up more alert. I can get right into my day and most of the time I don’t even drink coffee. I do not need to nap on a regular basis. Some weeks I don’t nap at all. I am walking better and farther and I don’t have as much pain as I did before. I’ve been told that my gait has improved. Some people have commented that my complexion is beautiful, and others that I look like I feel better. My acid reflux is gone, my blood sugar and blood pressure are lower. I rarely need an allergy tablet or ibuprofen. I have also lost some weight. I still have M.S. as the “Company X” products are not a cure. But I feel more in control of my health and have a better quality of life on these products. For last 2 to 3 weeks, I have had a sore inside my nose. I think it originated from a dry-winter-air nose bleed, but it wouldn’t heal, mostly cuz it bothered me so much and it was so itchy, that I wouldn’t leave it alone. Every time that I fussed with it, I would get a pretty nasty nose bleed. This was a daily event by the way. So yesterday, after my nose stopped bleeding, it continued to weep all day long. That afternoon, I asked max to put 2 or 3 drops (not dropperfuls) of “Silver Product” into my nose. After about 10-15 minutes I noticed a huge change. It was no longer weeping. This morning it is feeling pretty good, and like it is finally on a healing trend, rather than getting worse or staying the same. Plus the sore size is smaller today, and there isn’t any extra junk in my nose sticking to the sore (I know that was gross, again I apologize). So anyway, I just wanted to share that with you guys since I am so excited about my results. Plus it was only 2-3 drops of that stuff. totally amazing!! What can’t this stuff do? I have osteoporosis. No longer taking drugs due to lasting side effects. For me the “Company X” products have been a life savior. After taking the joint pack and “Energy Product” for ten months I have seen significant improvement. My last bone density indicated that I have gone from Osteoporosis to Osteopenia. Many thanks to Carole and the “Company X” Products. I have been an athlete all my life. As a football player for and graduate of the University of Florida in Architecture “ GO GATORS” also including high school football, basketball ,track, tennis and golden glove boxing. I completely abused my body with the sports I played “giving all I got” which included damaging my body in the process. Over the years as I am getting older, I have been experiencing constant aches and pains especially in my shoulder joints and torn ligament damage in my knees from football. I have broken my right wrist twice which constantly bothers me since I am on a computer all day for work. For years I have been suffering with the aches and pains from my injuries and the solution back then was pain pills/ injection pain management which was just hiding the problems but not correcting them. I was told if I had the surgeries for my injuries it wasn’t a full proof guarantee that it would be corrected or I’ll pain free. So, I dealt with the pain for years along with taking pain medication as needed which made me felt miserable, tired along with stomach pain from the medication I was taking. In May 2002 I was involved in a motorcycle accident. From this accident my right knee was severely damaged which I had to get it completely rebuilt with surgery. In that process they used a portion of my ham string muscle to rebuild my knee with. Other injuries from that accident included protruding disks in my L-3 and L-4 and a nerve root pressing on my L-5 which I did not need surgery for this but I had to get 8 epidural treatments and I was told that I would have on going pain management treatments for my back as needed. Also from the surgery I got nerve damage which caused a burning sensation down my leg daily .My doctor who did the surgery for my knee and back treatment told me when I get older that I would definitely have arthritis in my right knee which I will have ongoing physical therapy as needed. What my doctor didn’t say was, how old I would I be before I would be experiencing arthritis pain which this is leading me to write. 2009 was a very painful year. I was always complaining to all my friends and family how bad I felt and how my knee and leg was constantly bothering me with the deep burning and throbbing pain which limited my physical activities I enjoyed doing especially riding my motorcycle which I couldn’t ride on long trips without making numerous stops to stretch and rub my leg from the pain I had .In July of 2009 a good friend of mine told me about product called “LIQUID ORGANIC PRODUCT” how it could help me, believe me I was skeptical at first and I heard a lot and took many products that didn’t work as they claimed and I was really tired of wasting my money. I bought several bottles to try after she convinced me it was a money back guarantee. After 2 months of taking “LIQUID ORGANIC PRODUCT” my knee pain was getting less painful and I was being more active and productive. After the third month my knee and leg pain was COMPLETELY GONE. Along with this I haven’t had an epidural injection in my lower back in 6 months , my shoulder and wrist pain do not bother me anymore and to top it off I had restless leg syndrome for the past 6 years and was taking CLONAZEPAM 3 -4 times per week so I can sleep. Now, I can sleep through the night and I no longer take any medications of any kind. I am no doctor nor do I work in any medical profession all I know is, my energy level increased tremendously with my work outs and daily activities, I feel great and energized nor do I consume the amount of coffee like I had before to give me that mid afternoon jolt and all the aches and pains I had before are gone. 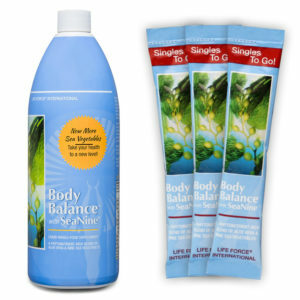 “LIQUID ORGANIC PRODUCT” has worked for me by improving my quality of health, life and well being. It is a paralysis agitans, a chronic nervous disease characterized by a progressive tremor and weakening of muscle tone. My husband, Dale Adrian, was told by his Doctor, Dr. Dave Terry that he not only had Parkinson’s, but also had two heart valves that were not working. My husband also had headaches and couldn’t sleep well at night. I felt helpless and he kept me up a lot of nights. He was also falling a lot. So, Dr. Terry and I though his place would the nursing home. He went there for about one month and I felt so bad because he was worse. I felt like I needed to bring him home and take care of him myself. In the mean time, I was introduced to “Liquid Organic Product”. I took it for my arthritis and it helped. I though this may help my husband’s Parkinson’s. I gave him one quarter cup every morning and within one week, I saw a big difference in his tremors. His headaches were completely gone. He slept all night and that was because I cut his medication in half. I am so thrilled that “Liquid Organic Product” is helping him to live a little longer. He looks forward to having it every morning. I need to tell you this is what he says, “Honey, please don’t forget my juice! *Pink Eye – gone with no Doctor or Prescription! A few days ago, my daughter got Pink Eye. This is an infection of the eye that is highly contagious. Since I have 7 children, this is always a great concern to me because it means we cannot go anywhere until it is clear, and because it spreads so easily from one child to another, I wanted to make sure we got rid of it right away! I got out the “Silver Product”, put one drop in each eye and then she went to bed for the night. The next day, we put two more drops in each eye before bed. The next morning, they were perfectly clear, not itchy, not goopy. We put in one more drop for safe-keeping, and that is it. No more pink eye! No spreading of it, and no doctor visit! A quick and easy solution =) And it only took 4 drops in each eye to clear it out. I am so very thankful to “Company X”! Happy Thanksgiving! “I’ve been taking ”Liquid Organic Product” for 5 months now with some great benefits to my health, my weight and mental happiness. I lost 20 lbs without even trying, feel great and have great mental clarity. I was troubled with back pain and was taking 4 or 5 Aleve a day, along with anything else I could get my hands on to stop the pain. I don’t even take aspirin now! My skin is softer and my fingernails grow better than they have my whole life. My sister was having problems with Acid reflux, she was rundown, and I have to say I was worried about her. I gave her a month’s supply of “Liquid Organic Product” as a gift and she was hooked. She is happy now without the problems of Acid reflux and her energy level is back – and that is after only a month on the product.” – Tonie T., WAI just love the way “Company X” is helping people – it’s so gratifying! My name is Harold and I am 83 years old. I was out cutting hay in July of 2003 and I was bitten by mosquitoes. I became really ill with West Nile and was in the hospital for a total of 5 ½ months. At first, the doctors told my children that I would not live. I was paralyzed and I could not talk. As three weeks went by, I was getting better and began to talk. The doctors told me that I would never walk again and would be completely paralyzed. The doctor told me that I was going to have to go to assisted living and not back to my home. I told the doctor, “That’s what you think, I am going home!”After I arrived at my home, I had two people come to my house that they were excited to share something with me. Because I had West Nile, they told me that there was a supplement that would really help me. I checked at the health food store and they didn’t have the same great nutrients that ‘Liquid Organic Product” has. There are no products that contain 121 different nutrients. I started to feel so much better about 2 ½ weeks into taking ‘Liquid Organic Product”. It has changed my life. Even though I am still in a wheelchair, I can now lift my arms; I can bend my knees, put on my pants, put on my socks and shoes, and bathe by myself. I feel like a million bucks and can take care of my wife. She has also benefited from the “Company X” products. What was great is that I decided to have meetings in my house. Over two weeks, I had so many people sign up. At that time, the head of ”Company X” International called me. He asked me what I thought of the product and how I was doing. I told him the “Company X” products are a gift from heaven. With God, everything is possible and I know I will walk again one day! *Health Disclaimer: These statements have not been evaluated by the FDA. 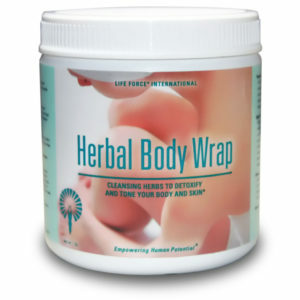 The statements and products are not intended to diagnose, cure, prevent or treat any diseases. Results may vary from person to person.